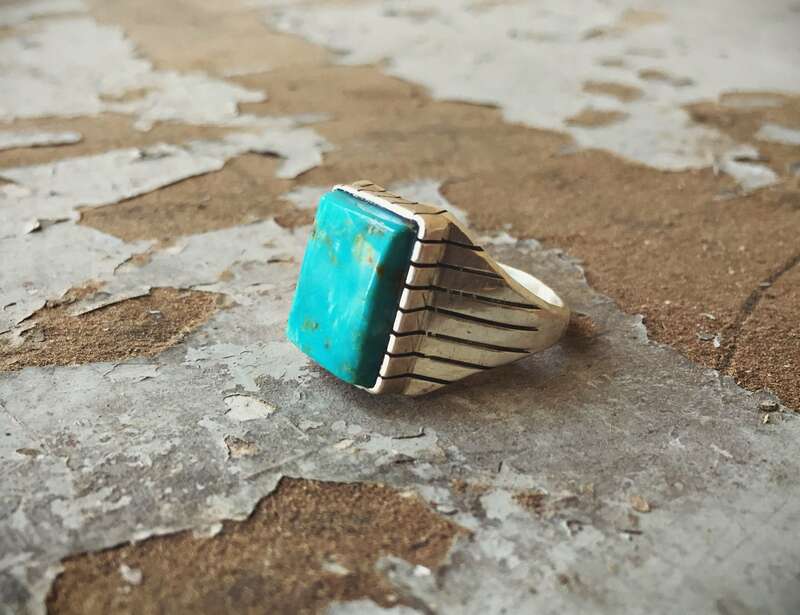 Here we have a simple ring featuring a piece of polished bright blue turquoise, with some brown veins or matrix and cloud like hues here and there. 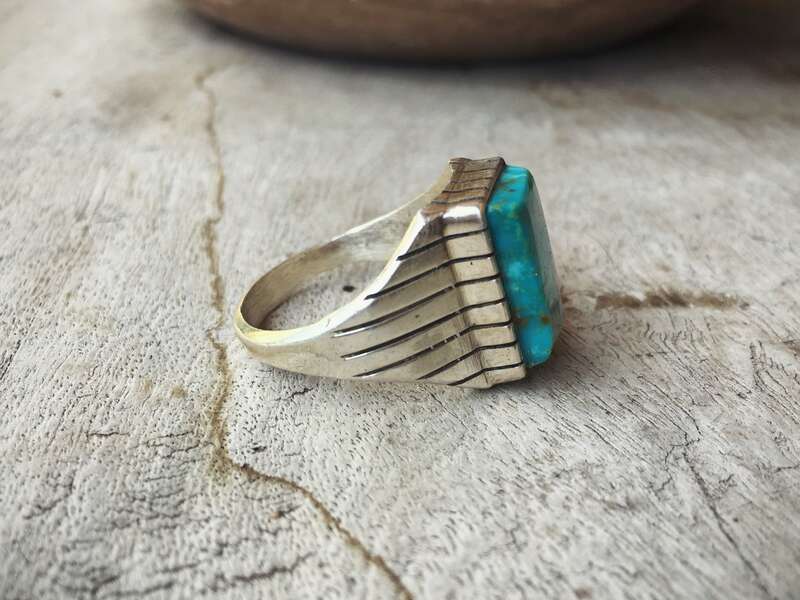 This is a traditional style of Men's ring. 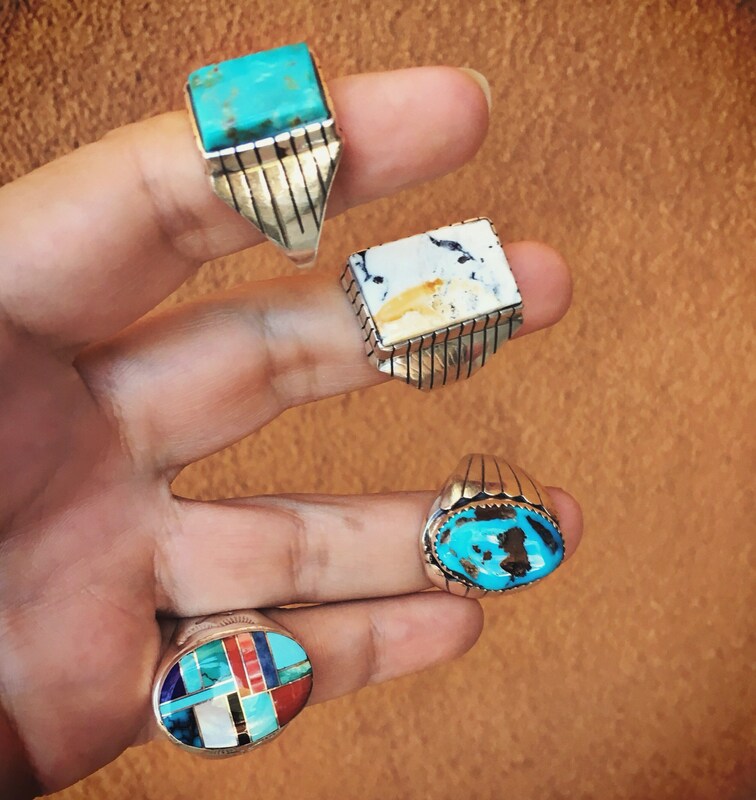 I believe it carries the hallmark of Running Bear, a company that employs Native American silversmiths. 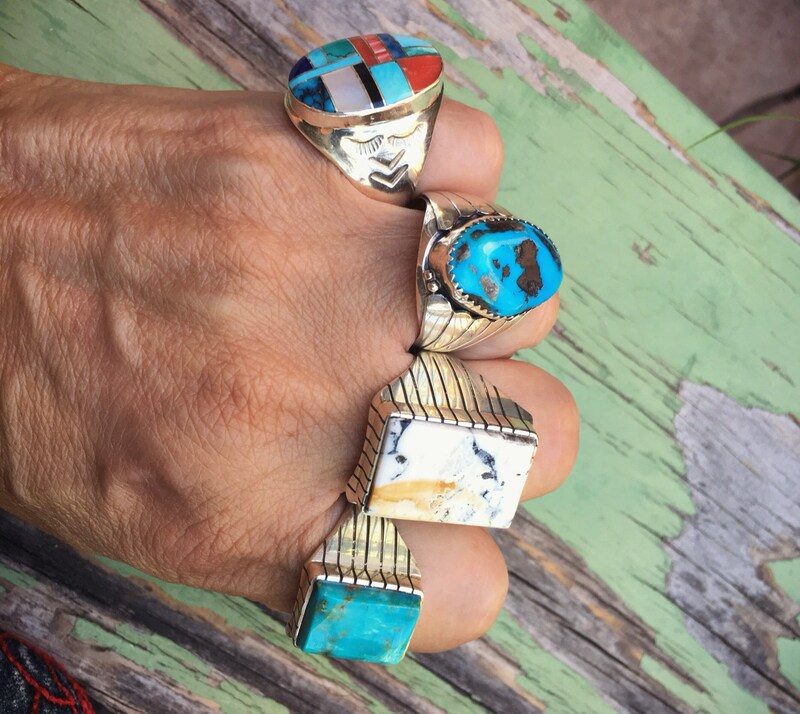 Since the ring is unsigned, we can't say for certain that it is Native American. 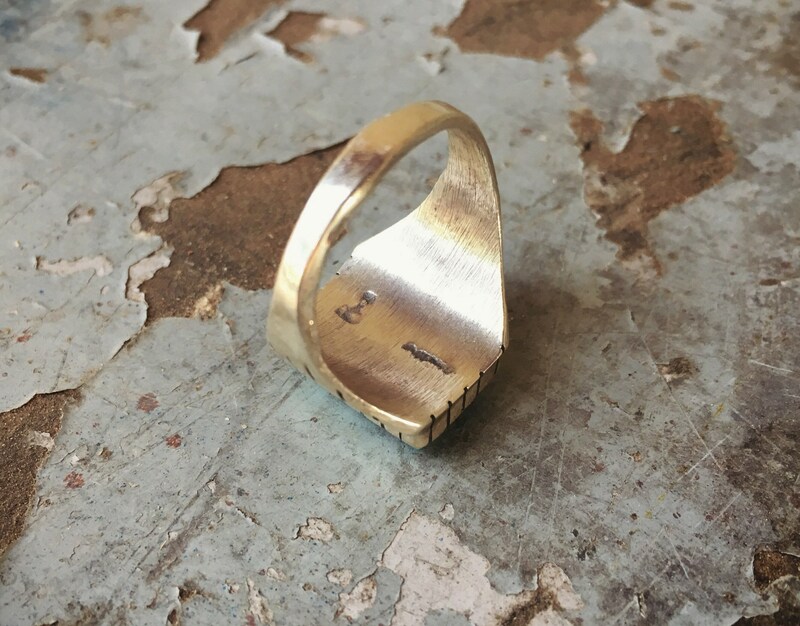 Carries a STERLING stamp. 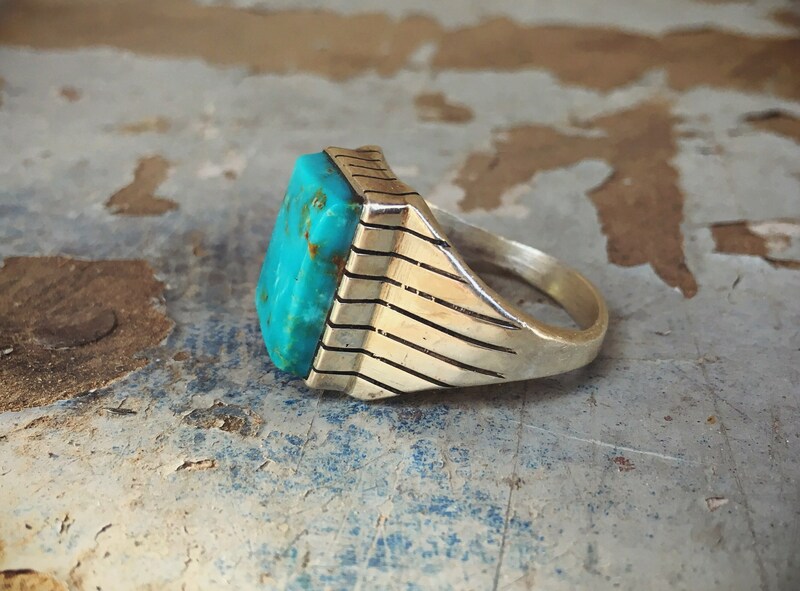 The ring is a size 13. 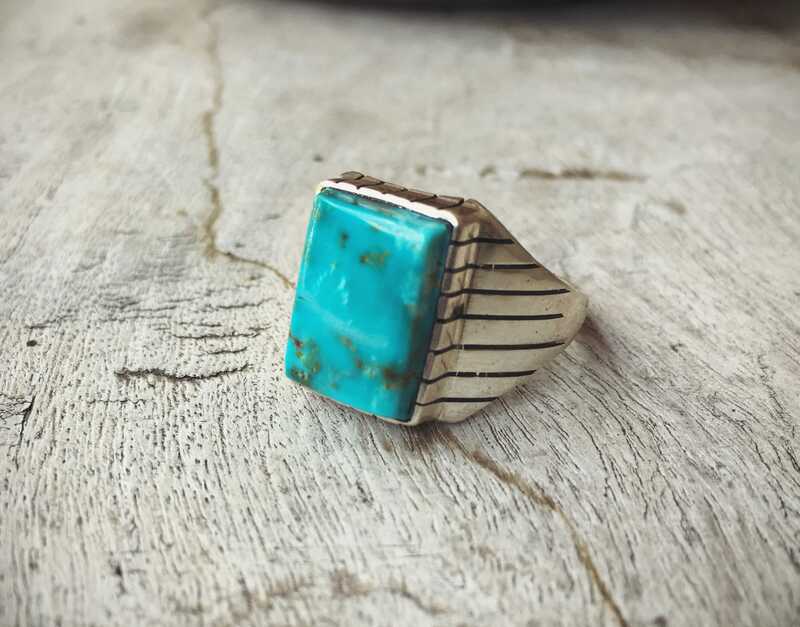 Turquoise cab is 3/8" wide by just over 1/2" long. 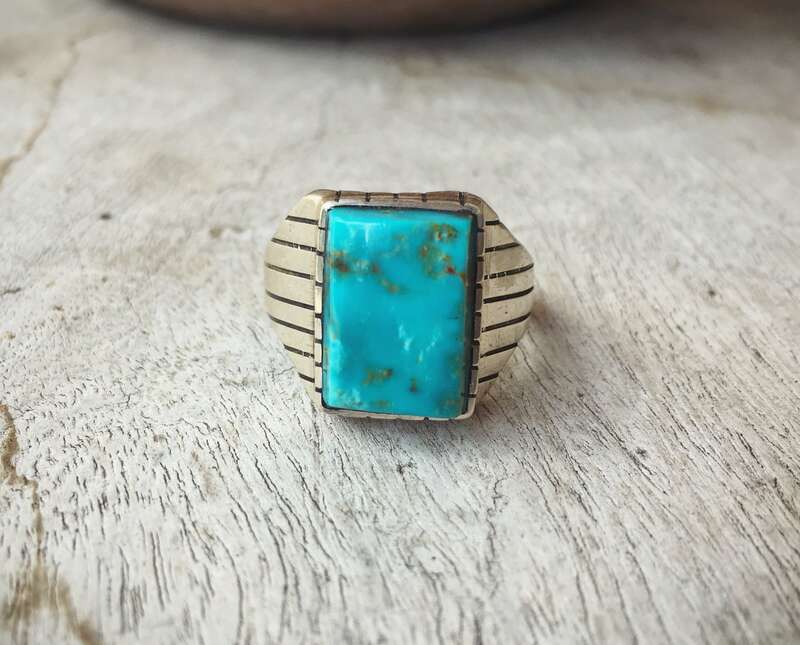 The turquoise is in good vintage condition, no cracks, and is well-seated in the bezel.